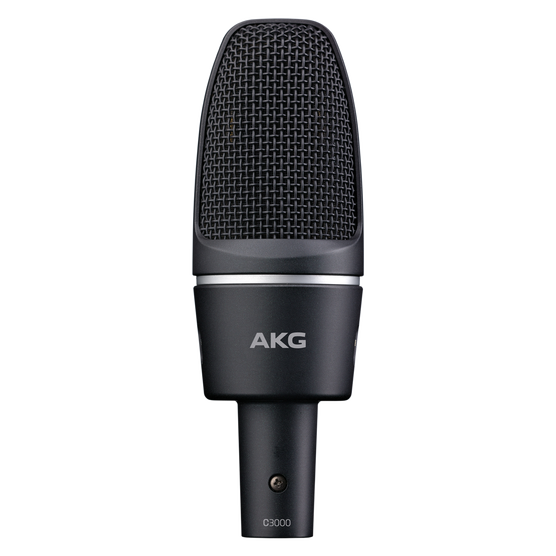 The C3000 high-performance, large-diaphragm condenser microphone has been a standard for live applications and studio recording for almost two decades. It is an excellent choice for vocals, electric and acoustic guitars, drum overhead and brass instrument miking. The switchable attenuation pad and low-cut filter enable high SPL up to 150dB and eliminate proximity effect. The redesigned C3000 presents itself as a cost-effective, rugged workhorse with a sleek and classy finish.